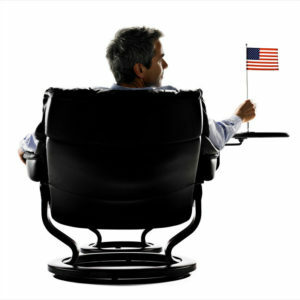 Stressless Elevator Ring adds 1 ¼” to the height of any Classic base recliner. Elevator Ring, Classic base – adds 1 ¼” to the height of Stressless recliners with a classic base. 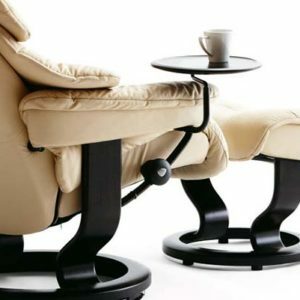 Other accessory items for your Stressless recliner with Classic base. 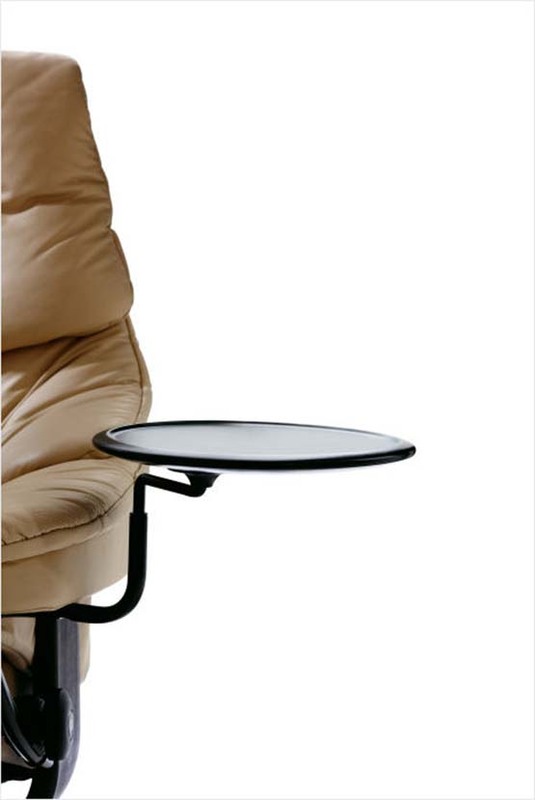 Swing arm table – This small (11″ diameter) table carries your remote, cup, book or whatever else you keep handy. 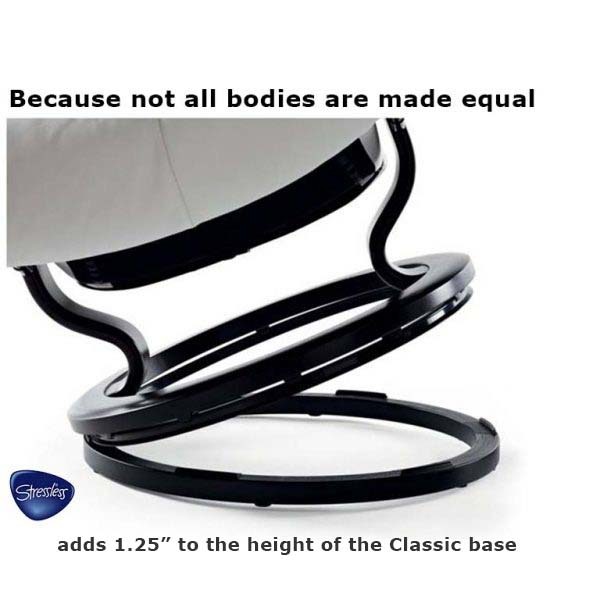 It fits all recliners with our famous Classic base. Personal PC table. 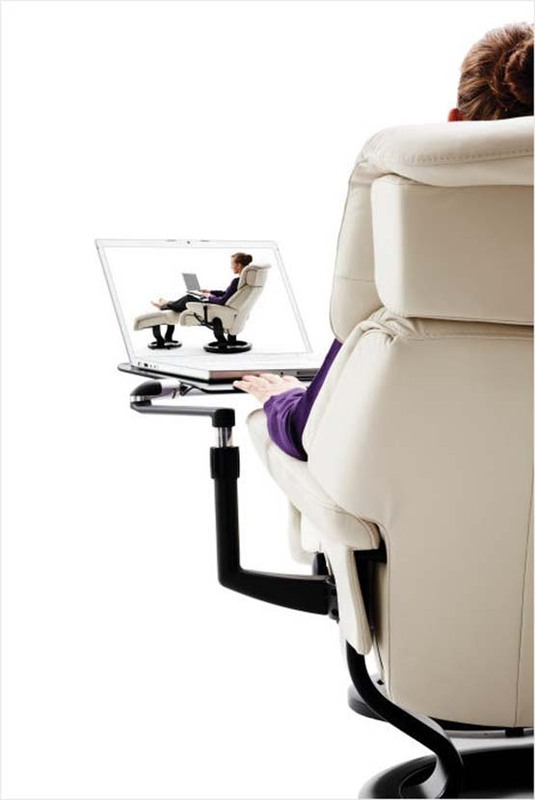 The solution to comfort online is the Stressless Computer Table. 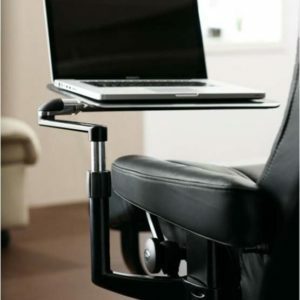 It provides a firm and stable workspace directly above your lap. 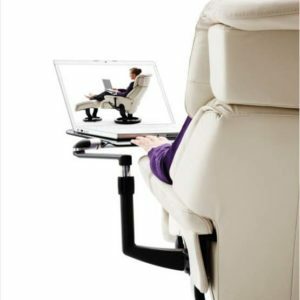 When you’re done, simply swing the table aside and fold it down alongside the recliner. Rectangle table 16.25 inches by 12.25 inches.